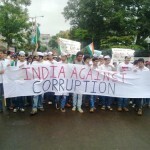 The support for Anna Hazare and team to fight the corruption enters day 2 today and in Belgaum the youngsters came out on the streets under various banners. 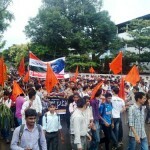 The ABVP had called for a College bandh and hence many students were taking part of the protest. 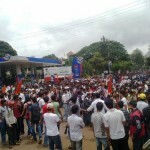 Some images of the various protest rallies done this morning. I Totally support Anna Saheb. Fist kick all the peons of the county because they are the pimps of the corruption. first they will all ask for chai pani than it goes to bada saab asking for gift money and many things. I know so many people in Belgaum who are making illegal money with both the hands. My fist kick will be on all peons of the country if we crush these pimps than we can go to tahsildars, talatis, clerks SDC, FDC and many more. Anna saheb I am always with you. 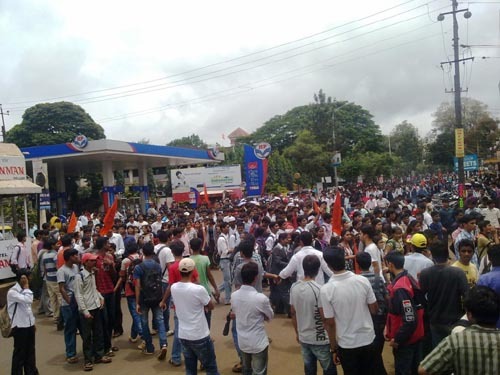 Belgaum was never like this …. 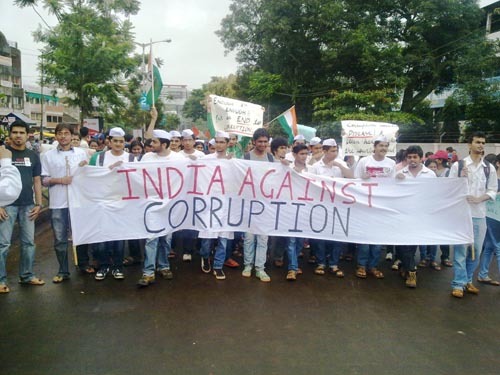 thx for anna for adding some motivation in Belgaumites..
Do you know where can we find India Against corruption t-shirt in belgaum. would like to wear one while particiapting in rallies. 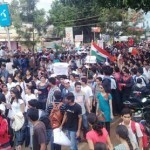 Today …18th aug,’black parade’ from rpd at 9:30am….please join..
Been at d candle march…..heartening to see d support….disheartening to see couples using d opportunity to smooch n cuddle around!we r der for a greater cause damn it….immature teenagers of belgaum….god alone shud save us! 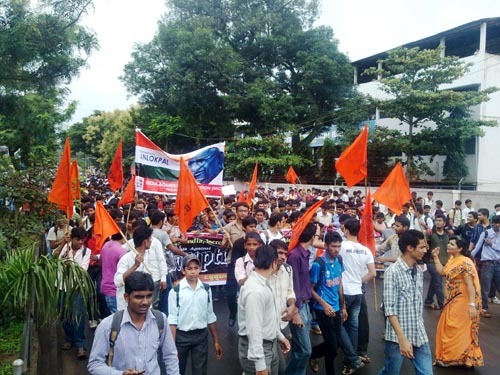 Good going Belgaumites….! The fight should continue…. Come out and participate in the protests actively… This will surely make u think twice the next time u r asked for a bribe…!.. 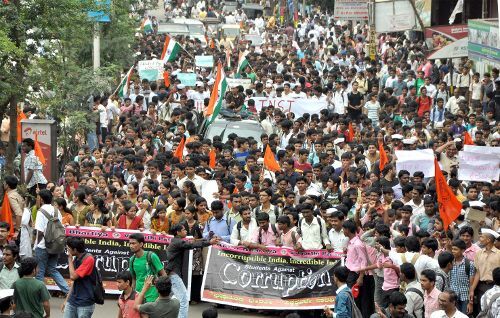 The battle is not just for JAN LOKPAL.. its also to kill the corruption within urself….! 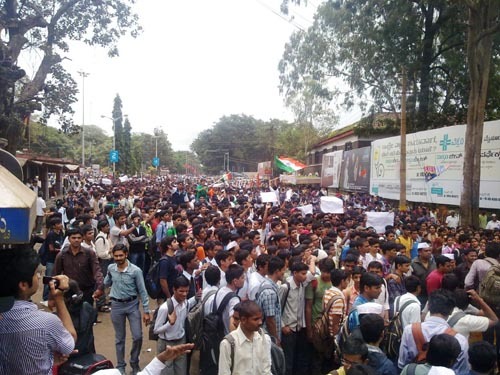 Ya we have spare some time to support Anna Hazare. If we cant, its big shame on us. Those who wont support this are all involved in this corruption. jo paryant jivat hai shwas nahi todnar anna cha vishwas. Can't you take out 72 minutes to Support Him…??? Cornered by growing support for Anna Hazare’s crusade against corruption, Congress party in its desperation todaytouched a new low by raising absolutely baseless and unwarranted allegations against Anna Hazare. We strongly condemn this desperate act ofthe Congress who is trying to mislead the country. Congress Spokesperson Manish Tewari did not even check facts before makingsuch false allegations on the basis of Sawant Commission. Anna himself had asked the then state govt to file a caseagainst him on the basis of the allegations that came out after the Sawant commission report. 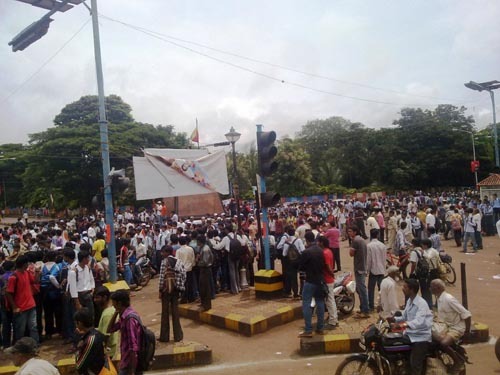 Anna even went on an indefinite fast and demanded enquiry from the state govt, but no case has been filed till now. Anna Hazare dares the Government to file an FIR against him and send him to jail if he is found guilty. Anna asks the government to bring Jan Lokpal and book him under the same and he is willing to face the trial. In a clear attempt to mislead the people, Manish Tewari chose not to mention the Sukhthankar committee report which was formed to study and take action on the Sawant Commissionreport. 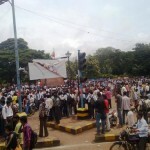 The Sukhathankar committee had found all the allegations against Anna baseless. Anna has now added one more demand to his indefinite fast, he wants the government to initiate an enquiry against him on the basis of Sawant Commission report. Mr Tewari today again raised the question of funding of our movement, to which we would like to inform him that our website has all the details of the donations we receive. We now ask Mr Tewari and Mr Digvijay Singh to put details of all the donors and donations the Congress party has received, and expenditures of last five years in next 24 hours on their website. We had all asked all political parties to do the same four months back, but they haven’t done it yet. It is clear that the Congress is resortingto vendetta politics seeing that it is losing ground in the fight against corruption. It was this Congress ruled government who honoured Anna Hazare with high civilian honours like Padmabhushan and Padmashri for his social services. If the government believes that Anna indulged in any act of corruption as per the findings of Sawant commission, then why the government never withdrew those honours. 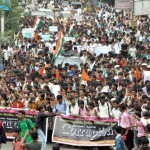 HRD Minister Kapil Sibal also tried to mislead the country on the Supreme Court ruling on right to protest. 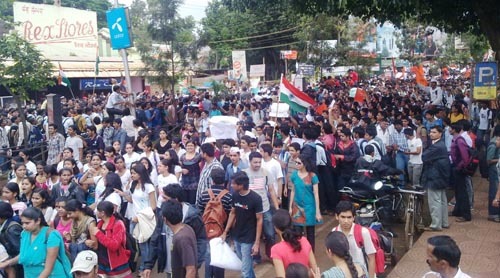 The 1972 judgement says, “ the right to hold public meeting in a the right to hold public meeting in a public street isa fundamental right and r. 7, which gives an unguided discretion dependent on the subjective whim of the authority to grant or refuse permission to, hold such a meeting, cannot be held to be valid. [293E] Freedom of assembly is an essential element of a democratic system. The basic assumption in a democratic polity is that government shall be based on the consent of the governed. At the root of this concept lies the citizens right to meet face to face withothers for the ,discussion of their ideasand problems, and public streets are the ‘natural’ places for expression of opinion and dissemination of ideas”. Who are to be blamed for enticing corruption ? obviously the common man. We cannot blame a common man for enticing ,in cases of receiving good Medical treatment at Govt hospitals. The same extends to all the Electricity boards in the country ,whwere the there is corruption rate tarif for obtaining connections. Going through all the facts regarding corruption , it appears that a good R & D should be done to remove this menace. 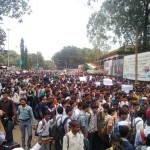 anna we all suport u.Govt must have to pass the bill , which people of india need . you ask any body on Road 99% of indian people , will say we need the strong bill which Anna team has prepared come out of your sansad and ask any indian on road you will get the answer . every indian is know very well that why govt is not making strong bill , as they know what is going on in india from last 60 yrs any political party does not need the strong bill . 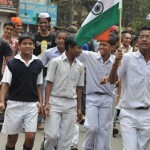 they show on 16 August , which bill they want , and you have to pass that as indian people need that . you have to understand what indian poor- middle class people want .